Yesterday I rode my bike through Dublin City Centre and completely forgot about the new 30 km/h speed limit. On the bike this is easy to forget as I use the bus lanes a lot and it is also easy to pass through the traffic. Going over 30 km/h is really easy to do. While passing Christ Church Cathedral I suddenly remembered the limit, glanced down at my speedometer, and was happy to see the needle pointing exactly at 30. Of course, the bike is a 2003 model which uses miles per hour instead of km/h - I was speeding again! Hopefully there were no sneeky speed cameras to catch me breaking the law again - my two penalty points on my license is really making me more speed conscious. 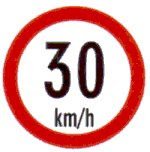 The 30 km/h limit has attracted a lot of attention and controversy. During heavy traffic - it doesn't matter what the speed limit is, most people will only be doing 5-10 km/h at best. I think it is a good idea - if it saves even one life over 20 years it will be worth it. However, I do notice that I am spending a lot of time looking at the speedometer (not just in the city centre) - probably more than I should be doing. This is dangerous too. 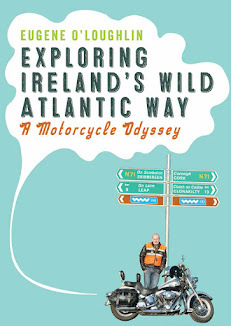 In a car the speedometer is just outside your road viewing eye line and easy to glance at, but on the bike I have to look down at the petrol tank, which is well outside my eye line. I then have to translate in my head mph to kph (divide by 5 and multiply by 8) - the smaller kph numbers are too small for me to see. Just need to be more careful!